A number of England players have opted against wearing rainbow laces for their final Test of 2018 against Australia at Twickenham due to comfort issues. 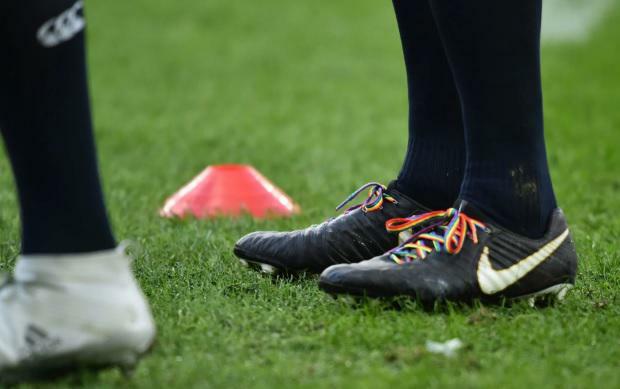 The match has been earmarked as a day of promotion for lesbian, gay, bisexual and transgender rights charity Stonewall UK with the RFU providing England’s match-day squad with a pair of rainbow laces to raise awareness. At Friday’s captain’s run, England scrum coach Neal Hatley stressed that the team were “unbelievably supportive” around the cause but that using the laces would be an individual choice. “They are actually really uncomfortable in my boots and they are really long. I won't be wearing them, but I fully support the LGBT community. That is something we are all very, very keen that people know. “On game day, little things can make quite big differences. It is a fantastic cause to support. If it was on a shirt or something like that, I don’t think anyone would say anything. “It's just the fact that you get two bits of kit, your boots and your gum-shield. Those are the only bits of kit that are yours. Changes in things such as your laces, it sounds stupid but it can make a big difference to a player. You like to keep your routine the same. Wales will also give their players the opportunity to promote Stonewall with rainbow laces during their meeting with South Africa. Meanwhile, French Rugby Federation vice-president Serge Simon suggested via a post on Twitter on Tuesday that France’s players would wear rainbow laces for their match against Fiji in order to show their support former Wales captain Gareth Thomas, the victim of a homophobic assault in Cardiff last weekend. “The reaction to the incident with Gareth Thomas in Cardiff earlier this week was phenomenal,” added Underhill. “The rugby community in general has been hugely positive in its support for the LGBT community."